A line of chortens occupy the foreground of the 15th century Thiksey (Tikse) Tibetan Gompa (Gelugspa Buddhist Monastery) on the right bank of the Indus River, south of Leh, Ladakh. The mountains of the Ladakh range can be seen in the background. 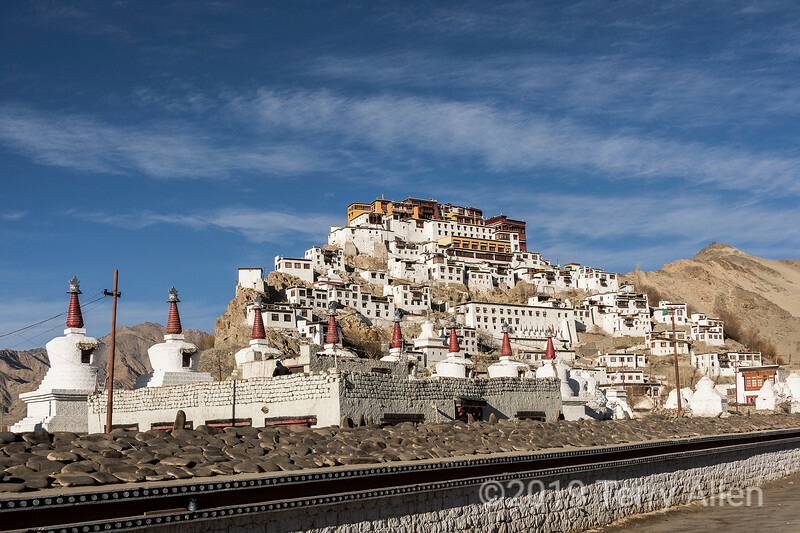 The monastery design was based on that of the famous Potala monastery in Lhasa, Tibet. Beautiful collection of buildings !! Guru Rinpoche would be well pleased with the layout ! Fine shot ! Looks like a great place--not sure if "strangers" can visit inside. What a unique place. Great capture. Thank you for the interesting information too.